USDCAD is under the influence of the oil prices growth and the BoC meeting results. The pair is finding support at 1.28610 with resistance at 1.28810 which both lines are below the weekly pivot point at 1.30370. The EMA of 10 is moving with bearish bias along the descendant channel and it is located below the EMA of 100. The RSI is moving below the 50 level and the MACD indicator is in negative territory however the Stochastic is moving in high ranges indicating price fall. 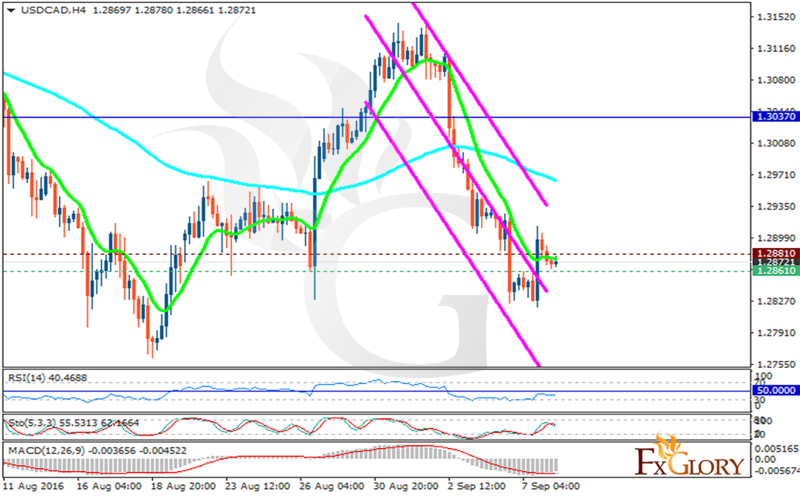 The pair may reach 1.29 area but it would go back to 1.28 area again.